Fremantle Press author Tracy Farr is celebrating today aft er her debut novel The Life and Loves of Lena Gaunt was longlisted for the prestigious Miles Franklin Literary Award. Farr said making the longlist was a massive confidence boost while slogging away at the difficult early stages of writing her second novel. ‘It feels like being enveloped in a big, warm, literary and very Australian embrace,’ said Farr. Farr who comes from Perth but has lived in Wellington for twenty years said it felt like concrete validation that her novel had a place in Australian literature. ‘It’s like being invited to join the gang, after lurking for years on the fringes as an observer,’ she said. ‘I wonder if my long-listing might contribute, in even a small way, to bridging the gap between the Australian and New Zealand literary scenes, or at least providing a talking point about it,’ said Farr. This is the second consecutive year that a Fremantle Press title has made the Miles Franklin longlist and the third time since 2011. Fremantle Press publisher Georgia Richter said it was always a thrill to have novels by new and emerging Western Australian authors receive recognition in Australia’s best-known award. ‘We believe deeply in the books we publish and in the talent of our authors. It’s lovely to see our own belief confirmed by the Miles Franklin, and to enjoy the validation it gives the recipients,’ said Richter. The judges will announce the shortlist on 15 May. To celebrate the longlist announcement, the Miles Franklin administrators are launching a ‘You be the judge’ poll. This campaign invites readers to don a judge’s hat and select their own shortlist. The poll will be open for the six weeks between longlist and shortlist with novels extracts, synopsis and bio of authors available to help with the readers’ decisions. 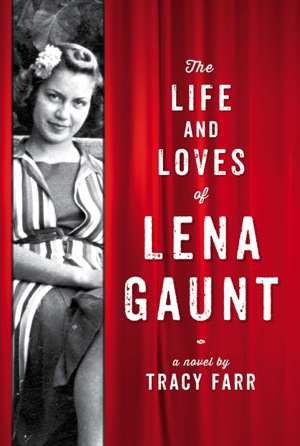 The Life and Loves of Lena Gaunt by Tracy Farr is available online and from all good bookstores. To congratulate Tracy send her a tweet @hissingswan or @FremantlePress, hashtag #milesfranklin. This entry was posted in News, Publishing and tagged fremantle press, miles franklin award, press release, the life and loves of lena gaunt, tracy farr by booksellersnz. Bookmark the permalink.